It is so important to meet the plants before you use them, medicinally! This essential component is often missing from clinical herbal studies. 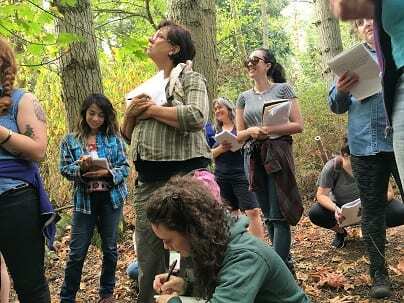 In our Wild Medicinal Plant Walk, we’ll begin to solve the mystery of nature’s “green blur.” From the tallest tree to the deepest root, medicinal plants are all around us – even in city parks!!! Meet devil’s club, saxifrage, cedar, willow, bleeding heart, nettle, nootka rose, Oregon grape, wild raspberry, and so many more! There are anti-inflammatory and pain relieving plants available to harvest where you live! 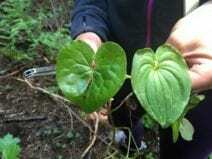 Poisonous plants and their lookalikes will be identified. Are there plants to harvest that will get the bugs to quit buggin’? Are there plants that can be eaten during a hike? What wild plant is aces at stopping bleeding? All these questions and more will be answered. Bring all your questions; I love a good pop quiz! Did you know that fireweed, burdock, dandelion, blackberry, and plantain are a few of the many pioneer plants that arrive on the scene to repair damage due to landslides, construction and fire? We’ll talk about how vital these pioneer plants are to an ecosystem as well as their medicine. You’ll discover wild plants that are beneficial for improving energy and metabolic function; plants to deal with pain, for stress reduction, combating bacterial and viral infections, and those which add macro- and micronutrients so needed to gain victory over chronic fatigue and other diseases. You’ll learn medicinal and culinary benefits, ethnobotany, and sustainable ethical harvesting methods. Find out where and when to harvest herbs on your own for optimum vitality, potency and nutrition. Gain confidence in your ability to identify plants and their medicine. Please note that this is an informational walk only, there will be no harvesting. Location: St. Edwards State Park. Details will be given in the confirmation email.